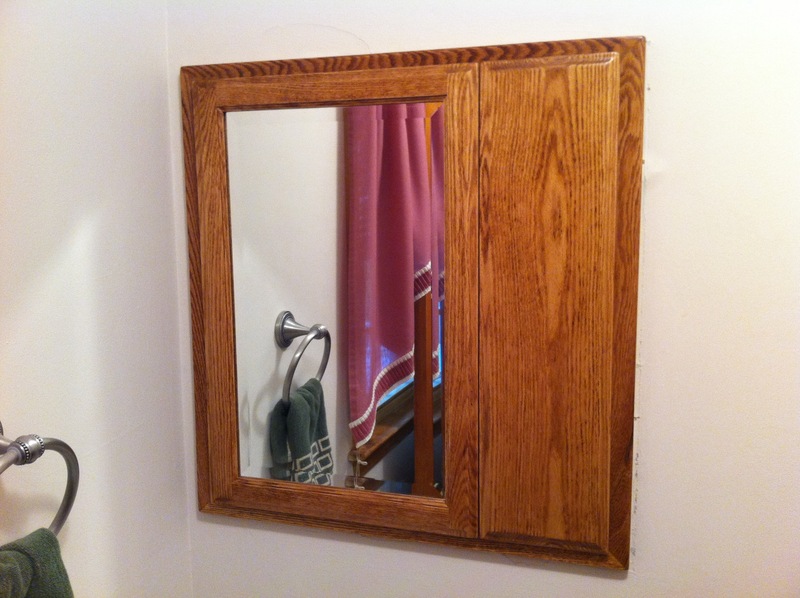 A bathroom re-facing job made out of solid oak. 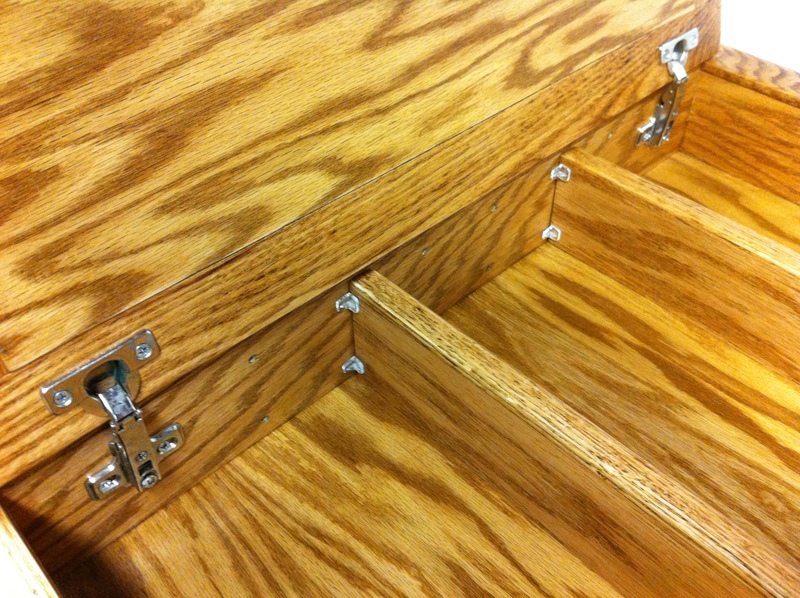 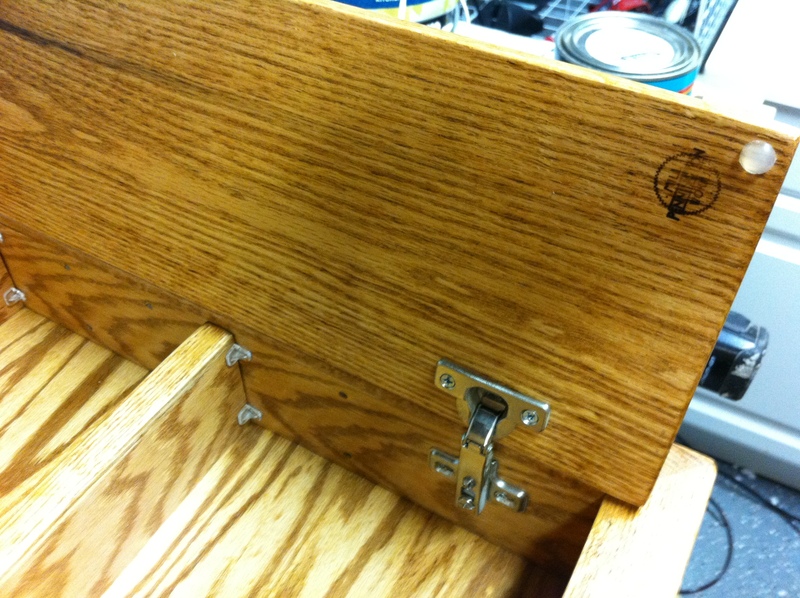 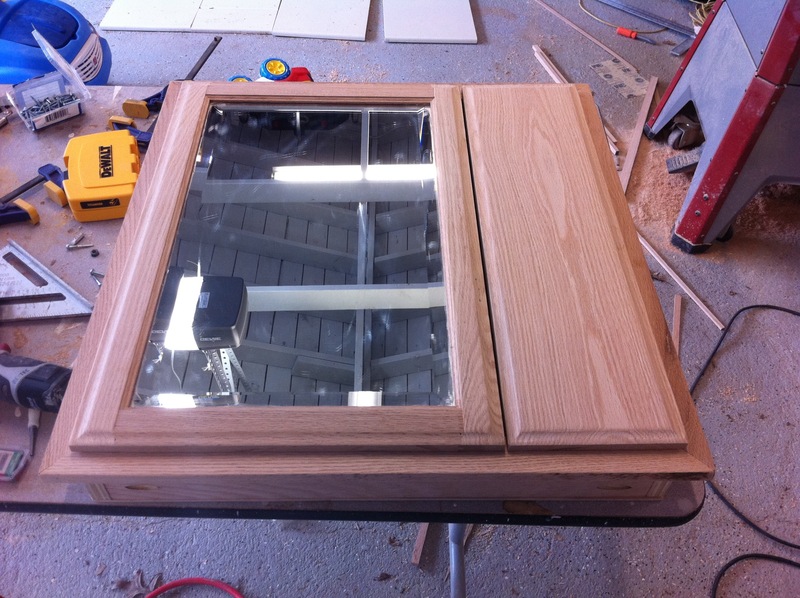 The drawer fronts are solid slabs with a decorative detail and the doors are raised panel. 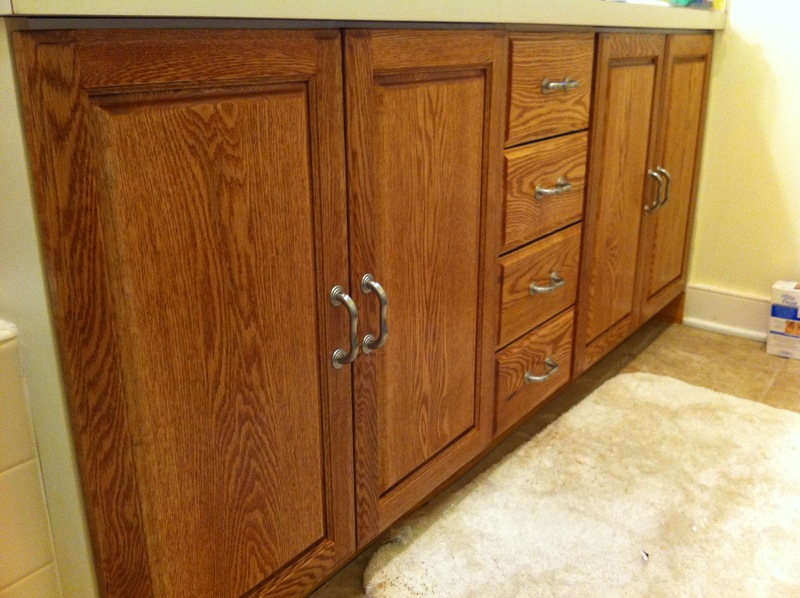 The original cabinets were in great condition but the doors needed some attention. 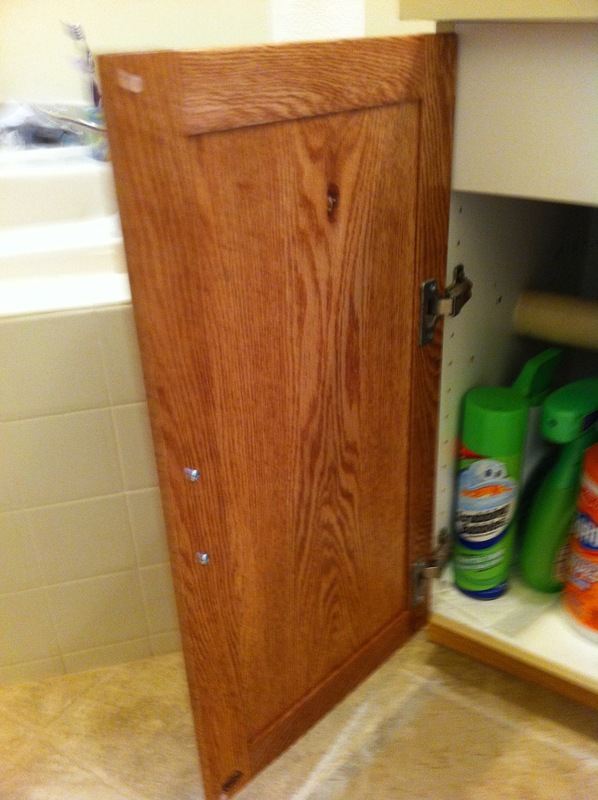 Rebuilding a new medicine cabinet for my neighbor. 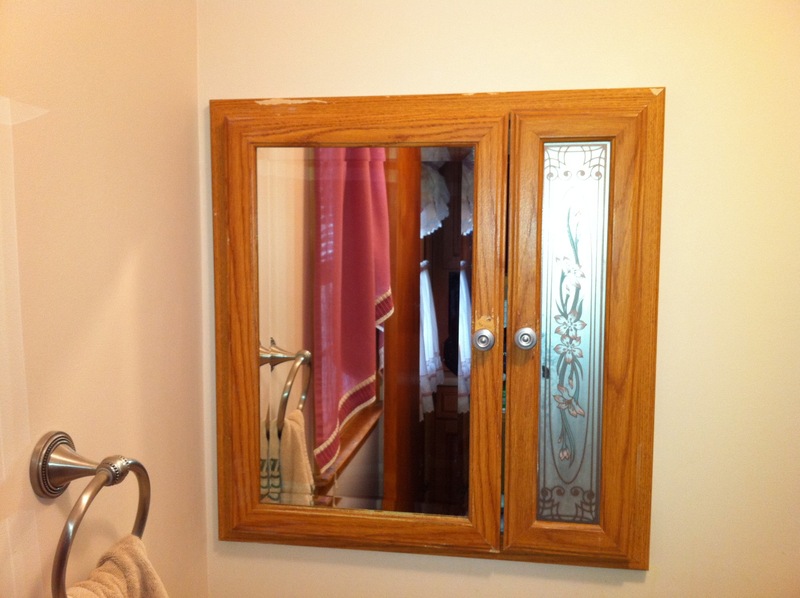 The original from homedepot was made out of a film covered pressed board and had already begun to fall apart. 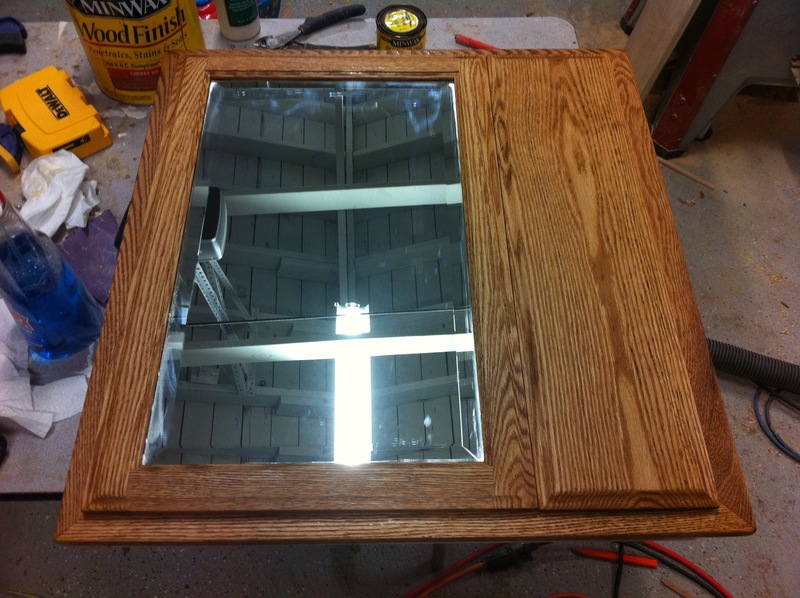 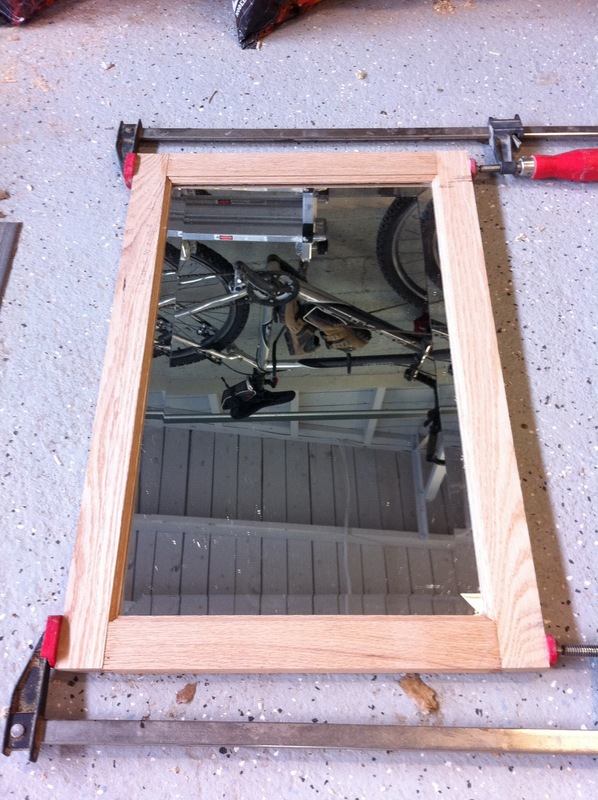 I am re-using the glass and hinges but making the new one out of much better materials. 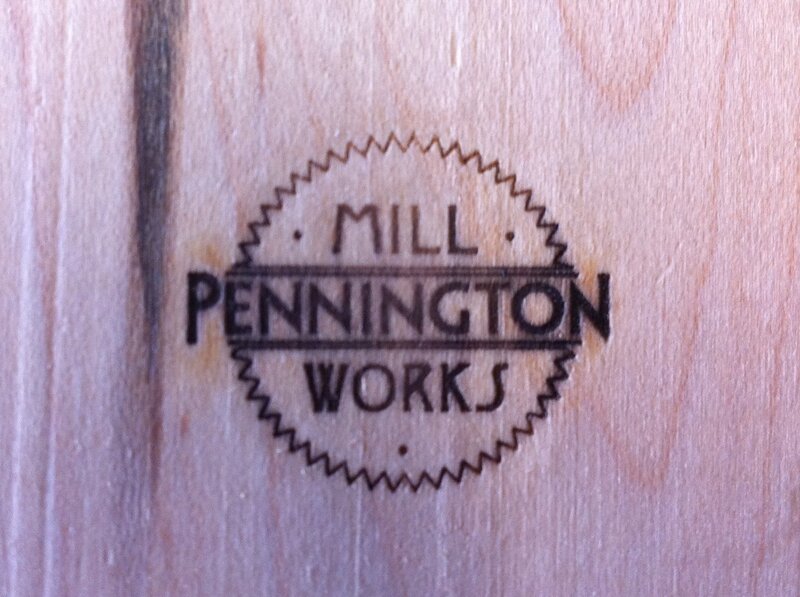 Many thanks to my friend Ben who took my initial saw blade design and made it into an awesomely simple logo. 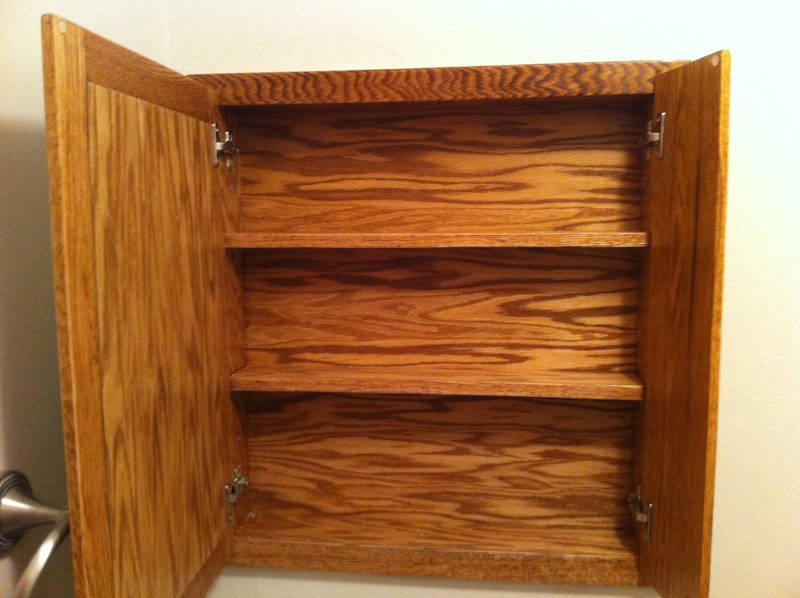 Love the new logo, just need to figure out how to repay him for his time. 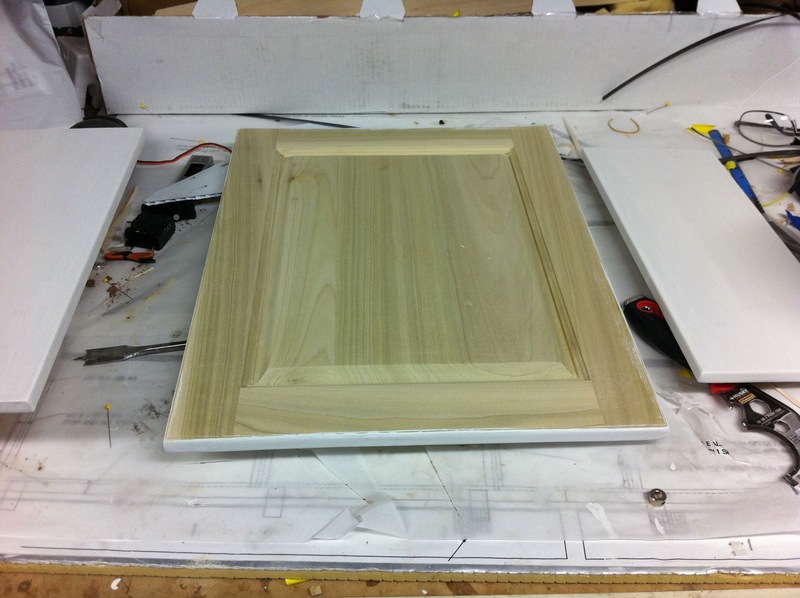 I think a maple cutting board might be in store. 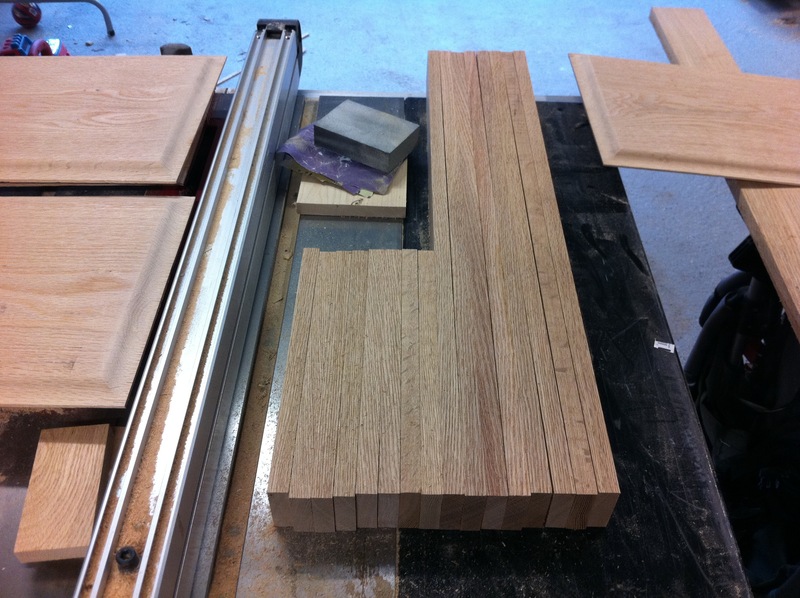 I found a great company that made a wood burning iron to “brand” the projects. 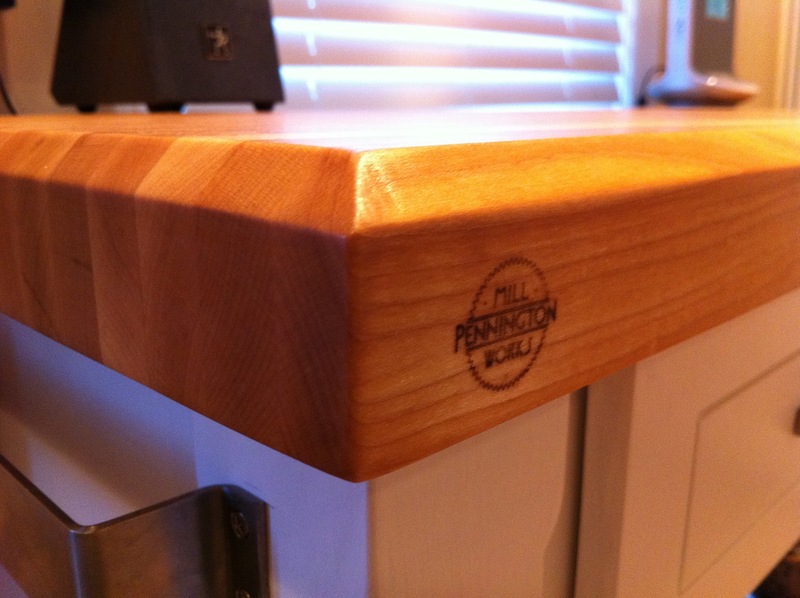 After a few trial runs I was comfortable enough to try it out on the maple countertop in our kitchen. 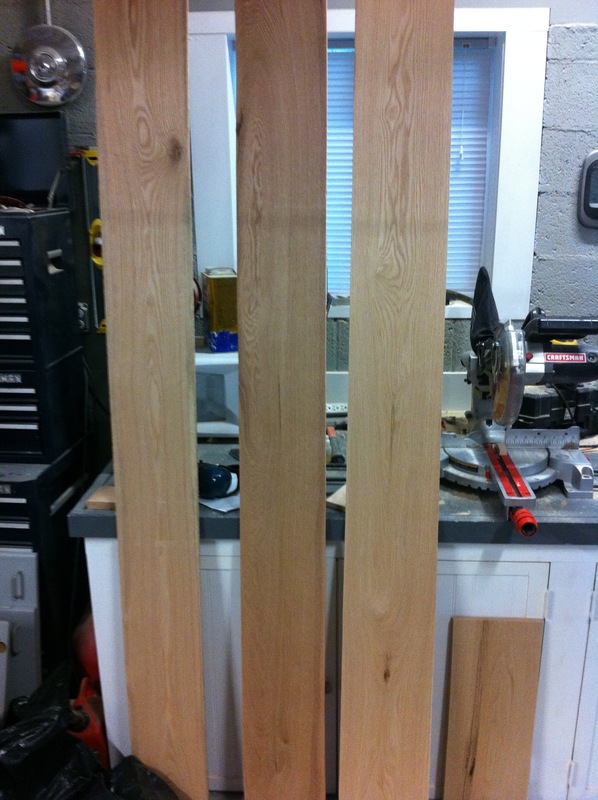 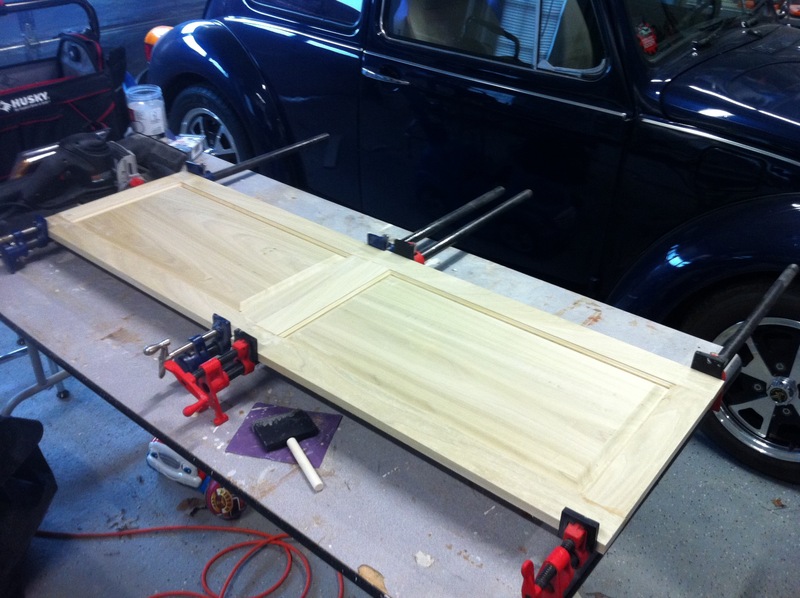 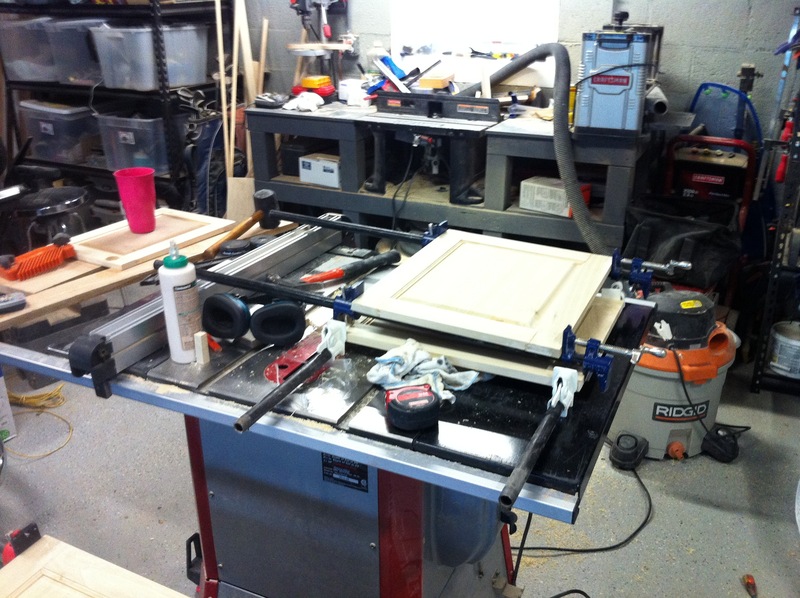 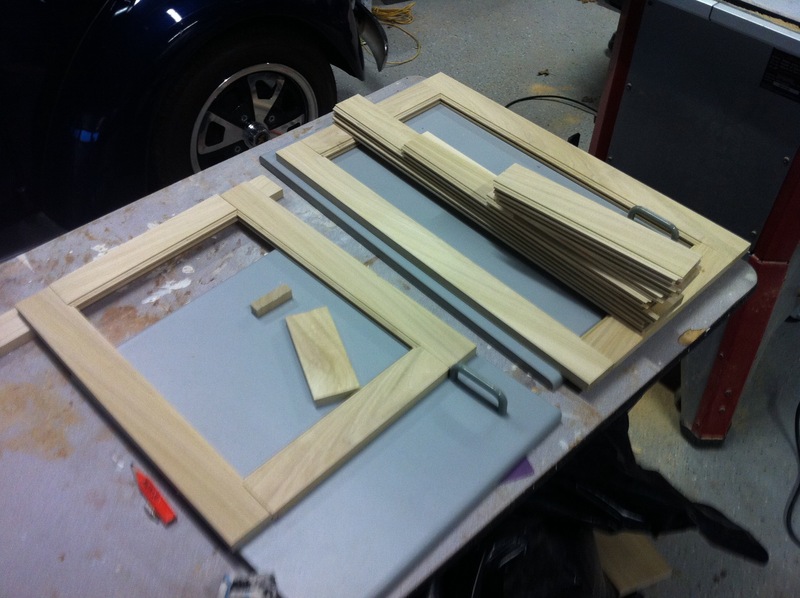 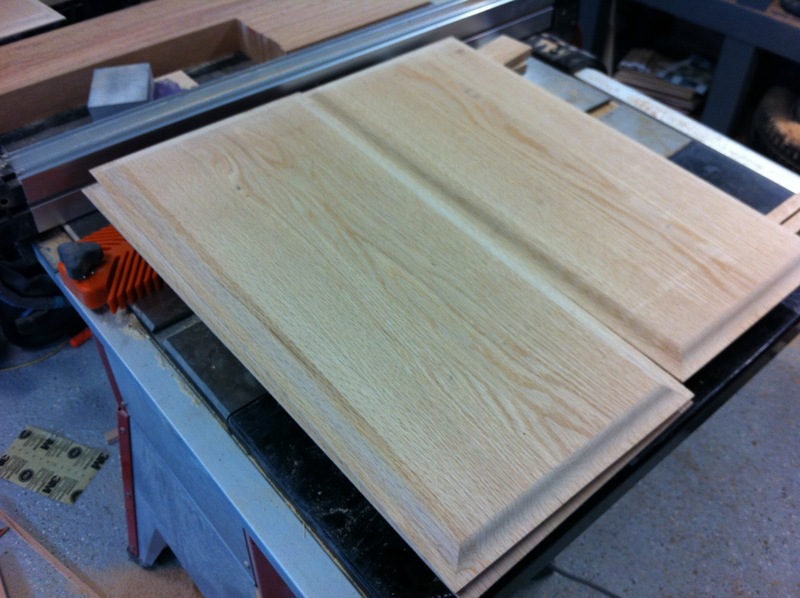 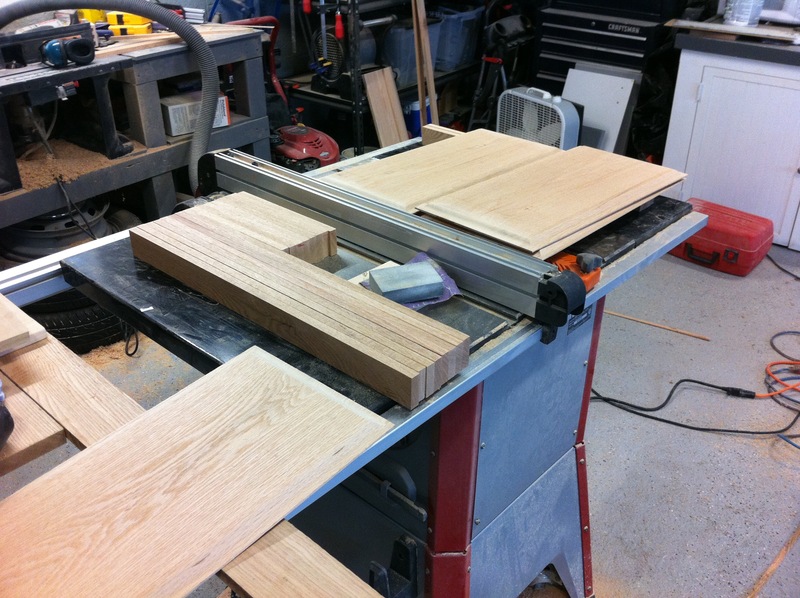 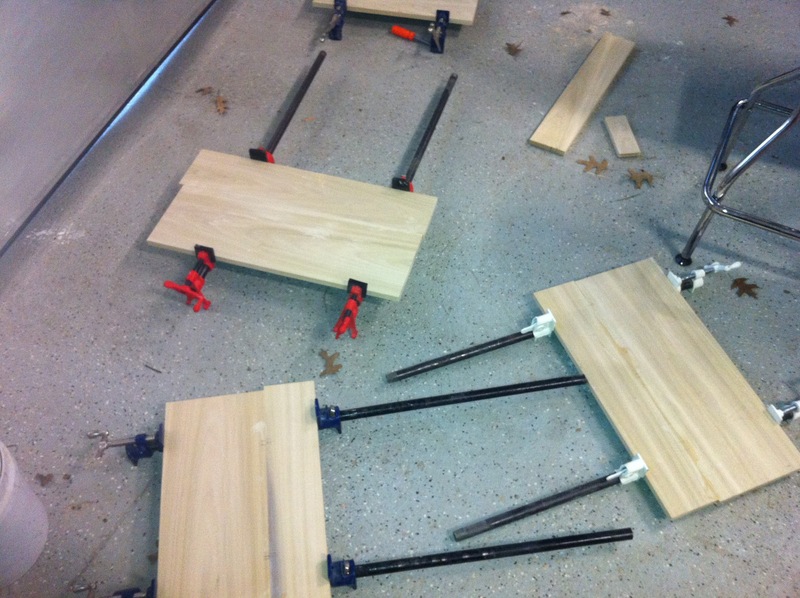 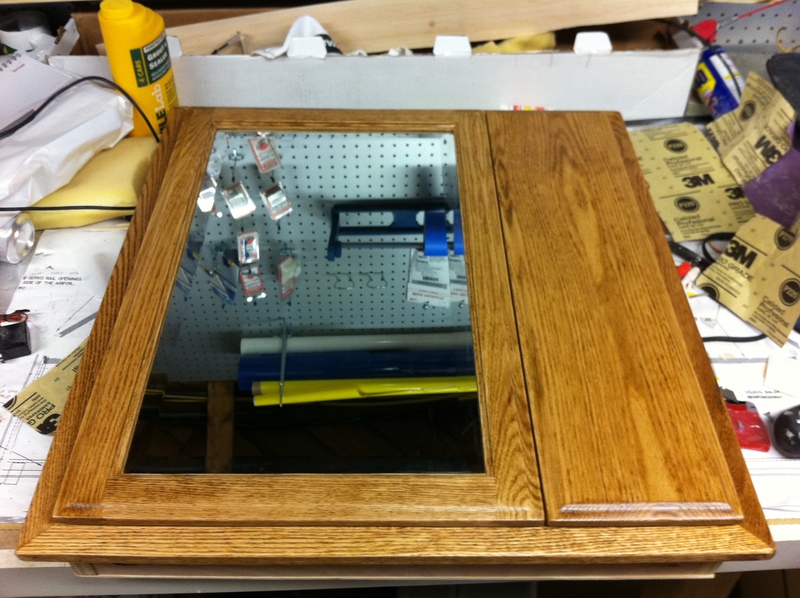 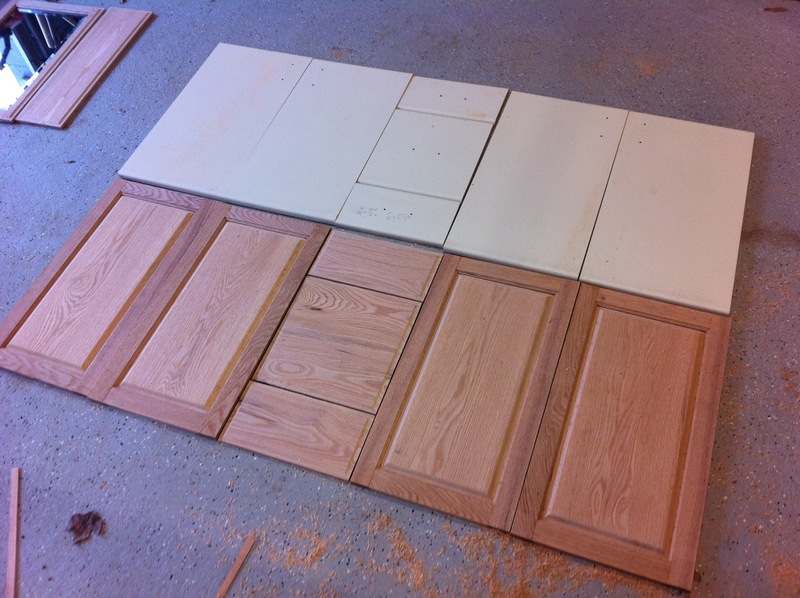 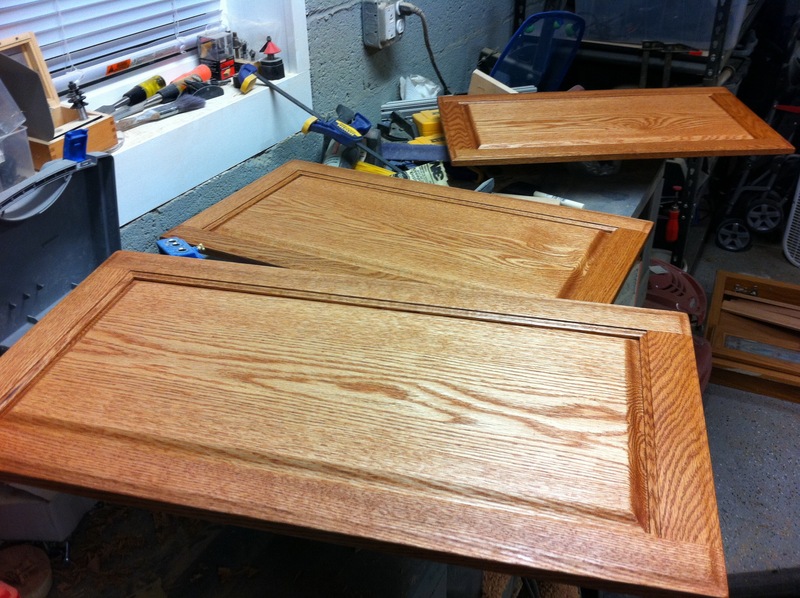 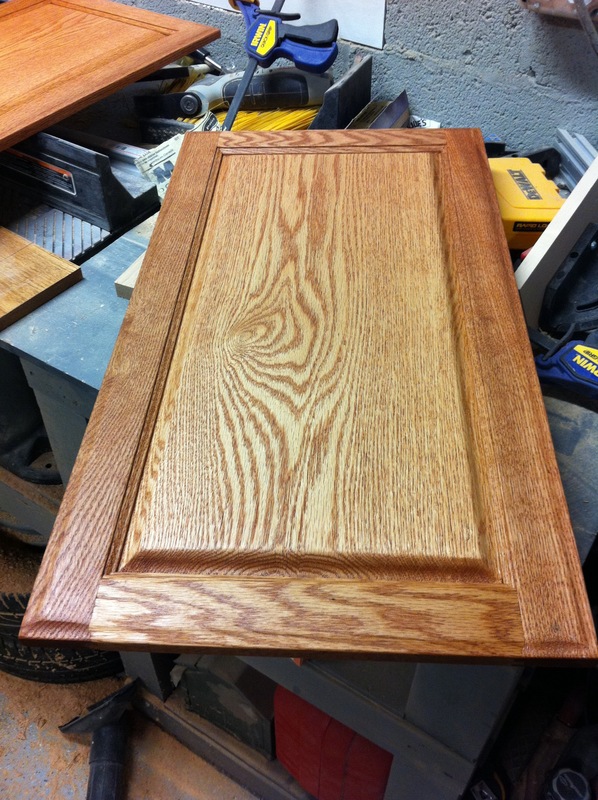 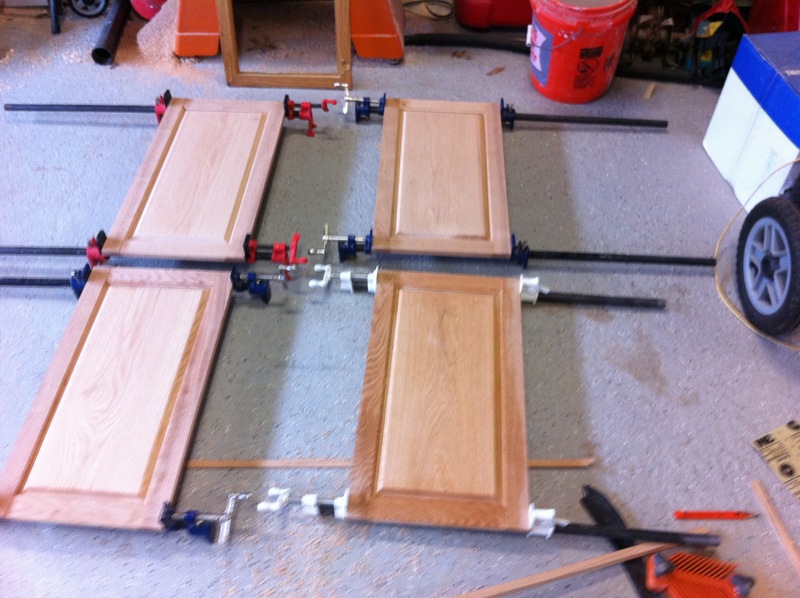 A quick project making new doors and drawer fronts for a bathroom made out of solid poplar. 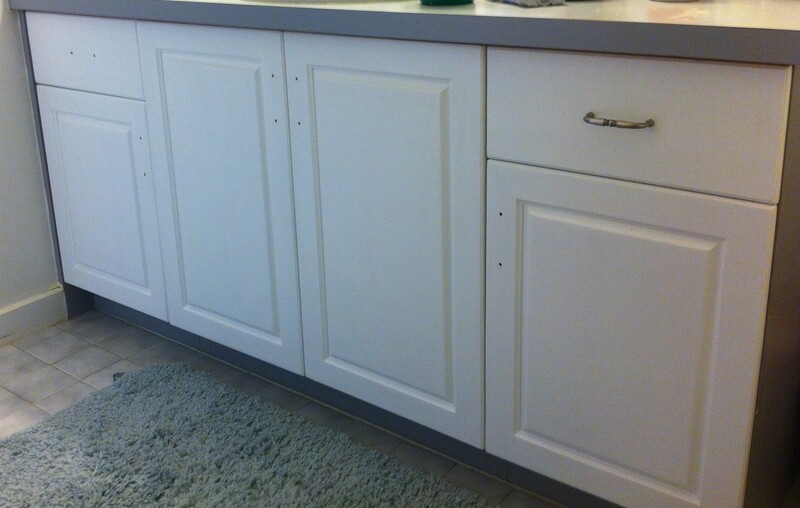 The raised panel doors are painted with white “Behr Polar Bear” satin finish. 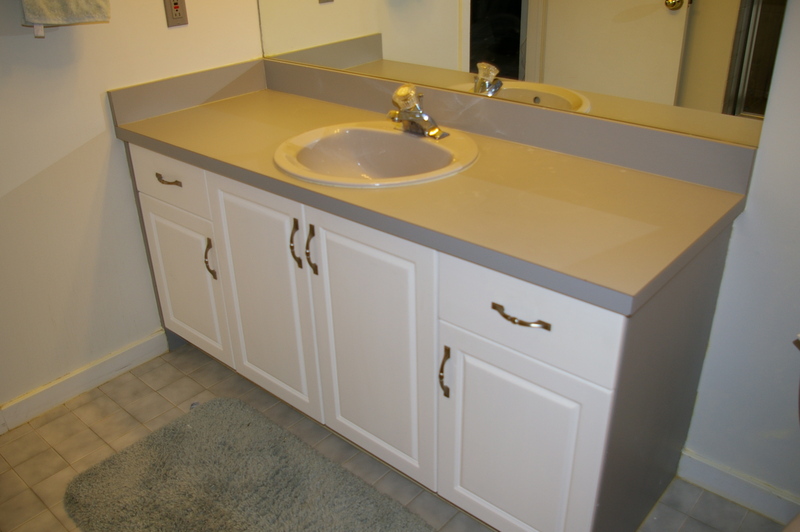 All that remains is to have the handles and vanity top installed. 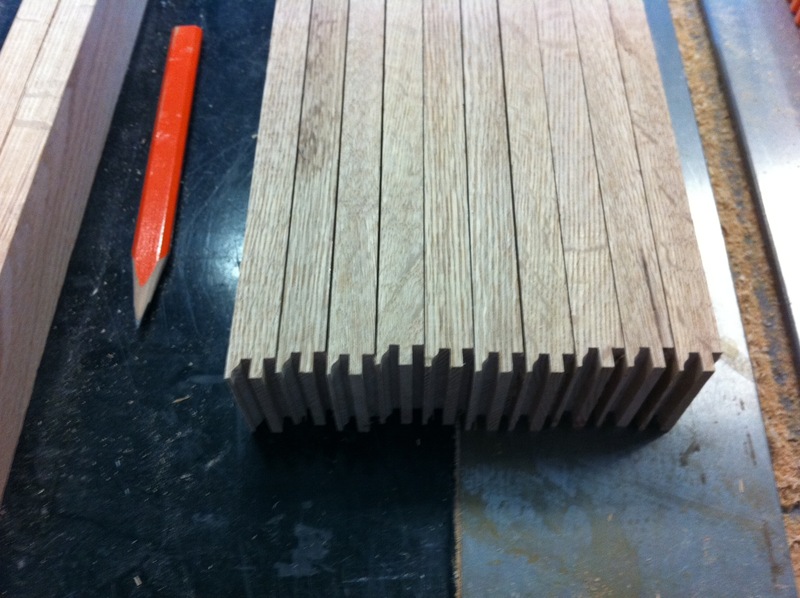 Will post more pictures once completed.